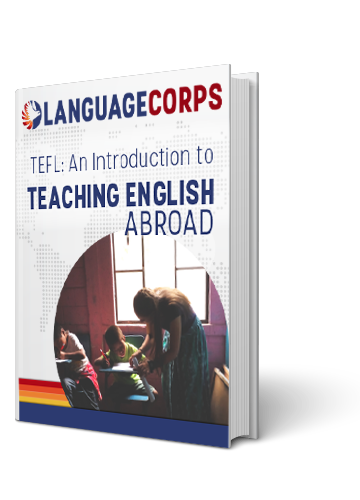 LanguageCorps November Discount - Teach English in Asia! At LanguageCorps, we’re thankful for travel! It’s been another great year of helping people teach English in Asia, Europe, Latin America and the Middle East, and to celebrate, we’re offering a limited-time discount on our TESOL Certification Courses in Southeast Asia. For our programs in Thailand, Vietnam and Cambodia starting between November 10, 2014 and June 15, 2015, we are offering $200 off the program fee for people that enroll during the month of November. It’s that easy! If you’re thinking about teaching English in Asia, there’s no better time to start than now. You’ll get to live in a fascinating location and explore some of the most unique destinations in the world, all while making a profound difference in the lives of your students, supporting the community around you, AND earning money as a paid English teacher. This offer is valid for deposits received during the month of November 2014, for LangaugeCorps Southeast Asia programs starting between November 10, 2014 and June 15, 2015(does not include China or Taiwan programs). For more information on LanguageCorps TESOL Certification Programs in Southeast Asia, please see http://www.languagecorps.com/teach-english-asia/.